This is a Weiman table. 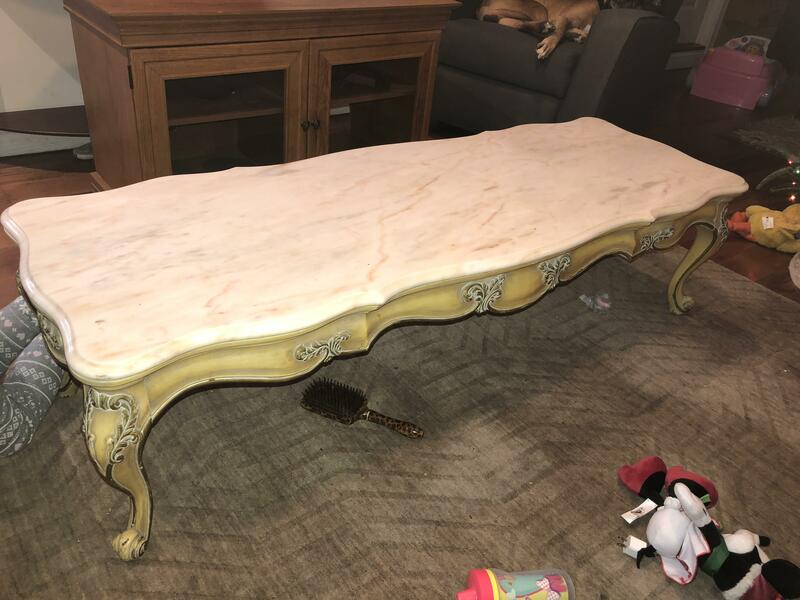 It has a real marble top and is longer than a modern coffee table. 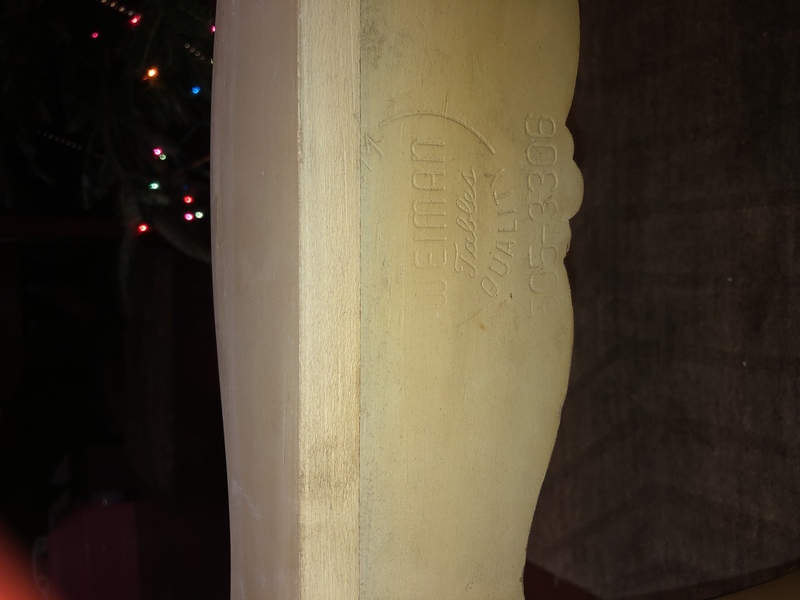 It has a mark on the table base that says Weiman Quality Tables 505-3306. I also have two end tables that I got with it that have a marble inlay on top and the Weiman mark with stamp that says heirloom. I can post pics of those if anyone knows anything about these tables! Thanks so much! Your table is not an antique, it's in the French Provincial style, which was popular during the late 1950's through early 60's. The company that made this one operated until about 1968. The style is not currently in vogue, at auction the table would probably sell for about $75.00.